From the hard work and commitment of our volunteers and foster carers through to the dedication of our donors, we continue to be touched by each and every contribution made by the community. From the donation of towels, blankets and food, through to those who put aside the time in their busy weeks to help us look after the dogs and cats in our care. In this edition of our giving feature we highlight some of the people and groups whose support helps us make a difference. Our volunteers are valued members of The Lost Dogs’ Home community. We rely on their dedication and commitment to help us provide our services to lost and abandoned cats and dogs. But, often we find that it isn’t just us that benefit from our volunteers’ time; our volunteers get a lot out of the experience too. Northern Support Services (NSS), located in Melbourne’s northern suburbs, delivers services to people with disabilities, and their families. They do this by using existing community resources to increase the ability of a person living with a disability to be active in the community. For five years, groups from NSS have volunteered with the Home helping with activities from dog walking to animal enrichment. According to Sandra, Community Education Manager at NSS, the group’s involvement with the Home continues to go from strength to strength. “Initially the program involved just one group of participants coming into the Home for an hour each week to help with dog walking and animal enrichment. This year we expanded our services so two groups can come into the Home each week. “The group is now starting to come up with their own ideas to help raise funds for the Home, which is something we hope to see continue,” said Sandra. Outside of encouraging the group to become increasingly involved in the local community, the program has also helped group members build confidence and self-esteem. “The group is very supportive of each other. If one member of the group is afraid to approach the dogs, someone will provide encouragement to help them overcome their fear. “We are really appreciative of the fantastic relationship we have with The Lost Dogs’ Home. The Volunteer and Foster Care Coordinators appreciate the group’s needs and provide them with great support so that everyone in the group can get as much as they can out of the experience,” said Sandra. Brr, it’s cold outside! 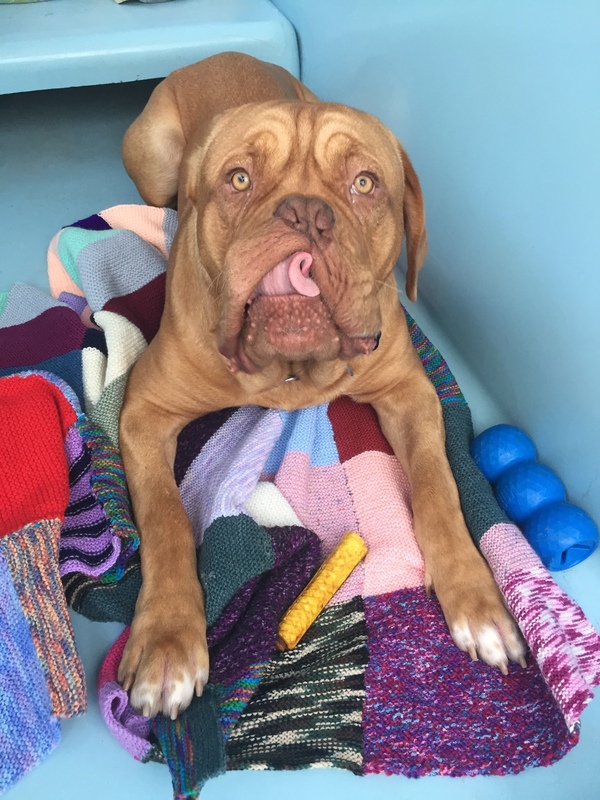 Winter is the time of year where we rely on your generous donations of blankets and towels to provide the dogs and cats in our care with a warm, comfortable bed and to protect them from the cold. Earlier this month the residents of the Langford Grange Aged Care home kindly donated 62 handmade blankets to our Cranbourne Shelter. These unique, bright blankets have provided much needed colour, warmth and comfort to the animals at the shelter during these cold months. Thank you to everyone from the Langford Grange Aged Care for taking the time to knit these beautiful blankets. We would also like to thank those of you who have searched through cupboards, arranged collections and have continued to donate towels and blankets to the Home this winter. For many of us, the local community sausage sizzle, including the enticing smell of barbecue sausages, is a weekend tradition. In June, students from St Albans Secondary College took time out of their weekend to hold a sausage sizzle to raise funds and increase awareness of The Lost Dogs’ Home. 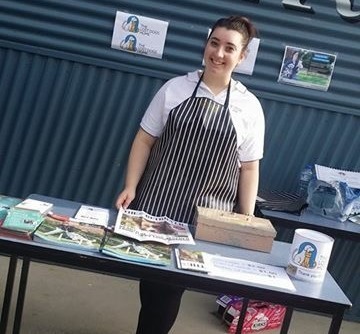 We would like to say a big thank you to the students and staff who helped plan and run the stall. Their donation, along with the work they have done to raise the profile of the Home within their community is greatly appreciated. Thank you!